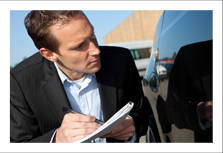 We provide replacement vehicle whenever the vehicle is in our workshop for repair and maintenance within 24 hours. Please note that if brand new car (0 mileage), first 1000 km and 5000 km, service will be done by the workshop, on every 10000 km, service will be done by our company or hirer as per agreed by both parties. Full service by the workshop on 40000 km, 80000 km & 100000 km. The vehicles are comprehensively insured in accordance with the UAE laws. We provide 24 x 7 Road Assistance for all our vehicle users anywhere in UAE. Our Emergency Call Number is available anytime of the day. Al Ghazal Car Rental LLC © 2019 All rights reserved.